The case of the extradition of blogger Alexander Lapshin, who illegally visited Azerbaijan's occupied territories, to Baku in early February was a sign for all those who are going to visit the occupied lands of Azerbaijan. Unauthorized visits to Nagorno-Karabakh and other occupied regions of Azerbaijan are considered illegal and individuals who pay such visits are included in the Azerbaijani Foreign Ministry’s “black list”. The Spokesman for the Azerbaijani Foreign Ministry Hikmat Hajiyev told Milli.az on March 1 that there are currently about 620 names of citizens of foreign countries in the "list of undesirable persons." “This list includes only persons who illegally visited the occupied territories of Azerbaijan,” he said. After the recent Armenia-held illegal “referendum” in Nagorno-Karabakh, the Armenian side claimed that many persons from foreign countries arrived to observe it. However, Hikmat Hajiyev said the preliminary research has shown that names of majority of them have long ago been on the "black list" of Azerbaijan. “These are persons who proved with their activities that they are under the Armenian influence and have links with the Armenian lobby,” the spokesman said. Hajiyev mentioned that Armenia deliberately wants to exaggerate by saying that allegedly many foreigners arrived to observe the "referendum." “Naturally, this is said with propaganda purposes. The vast majority of those coming there are the ones who are under the Armenian influence and whose names are already in the "list of undesirable persons," he said. The spokesman added that the activities of those who are included in the "list of undesirable persons" are reviewed in the complex and studied on crime element. "After that, legal prosecution mechanisms will be implemented if necessary.” Hajiyev cited the case of blogger Alexander Lapshin as an example. 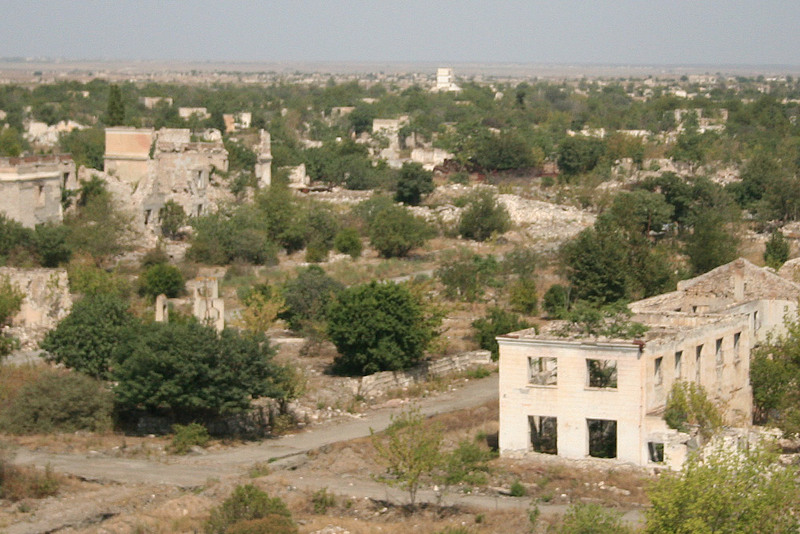 Lapshin will stand trial in Baku for his illegal visits to the occupied Nagorno-Karabakh region of Azerbaijan. He paid a number of visits to Azerbaijan’s occupied lands, where he voiced support for "independence" of the illegal regime, and made public calls against Azerbaijan’s internationally recognized territorial integrity. The blogger was arrested in Belarus and later was extradited from Minsk to Baku. The Foreign Ministry and diplomatic missions pay special attention to the illegal activity in the occupied areas of Azerbaijan. The work is constantly carried out to prevent such illegal actions.